I need not have worried. This is an excellent, professionally published booklet. It is a 56 page softbound booklet similar to those published by Ventura Publications. Everything is to the highest production standard, there is nothing homemade about this book. The book opens with a short history of the B-26 and operation of the B-26A by the USAAC. It then shifts to RAF operations of the Marauder I and the history of 14 Squadron's use of the type. 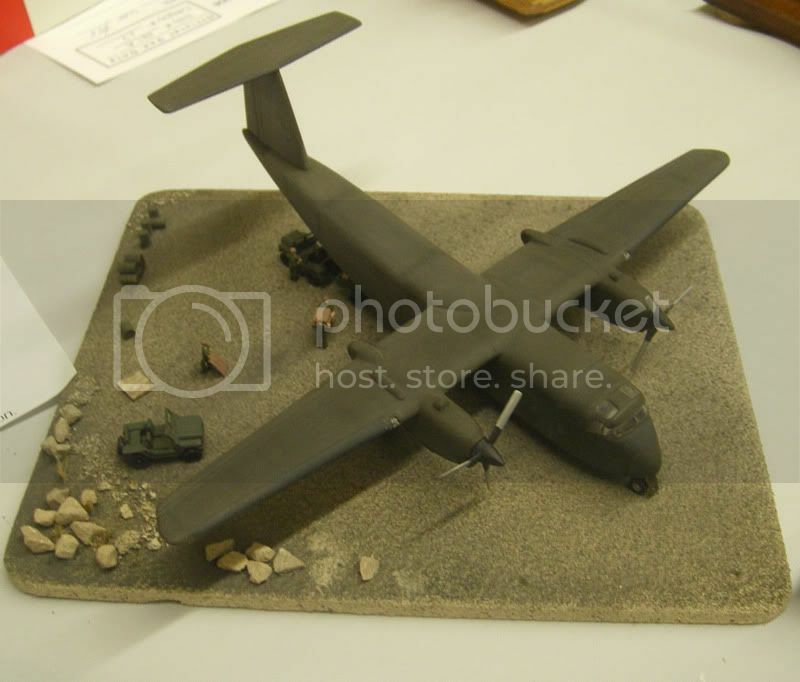 I was surprised to learn that 14 Squadron operated some USAAC B-26B as attrition replacements for aircraft lost in combat. The rest of the book consists of charts of operations use, Marauder bases, Marauder claims, Marauder loses, an operation record of each Marauder I with serial tie-ups, and a Roll of Honor of crews lost flying Marauders. The text of the book is interspaced with many photographs of Marauders and Marauder crews, profile drawings, and a map. Most of the photographs are new too me and clearly they are the highlight of the book. The colour profiles are well done and illustrate Marauders in both the olive drab/neutral grey scheme and the Dark Earth/Mid Stone over Azure Blue scheme. I have only two complaints with the book and they are very very minor. The first is that it only covers the Marauder I. I hope someday we will see similar books on the Marauder II and the Marauder III. The second complaint is that the book doesn't feature much information on a unique Marauder I that I have been researching. It is Marauder I FK115 "Hellzapoppin" which was used in Canada as a fast transport by 45 Group. I ran across a photo of this airplane in bare metal a few years ago and have been fascinated by it ever since. 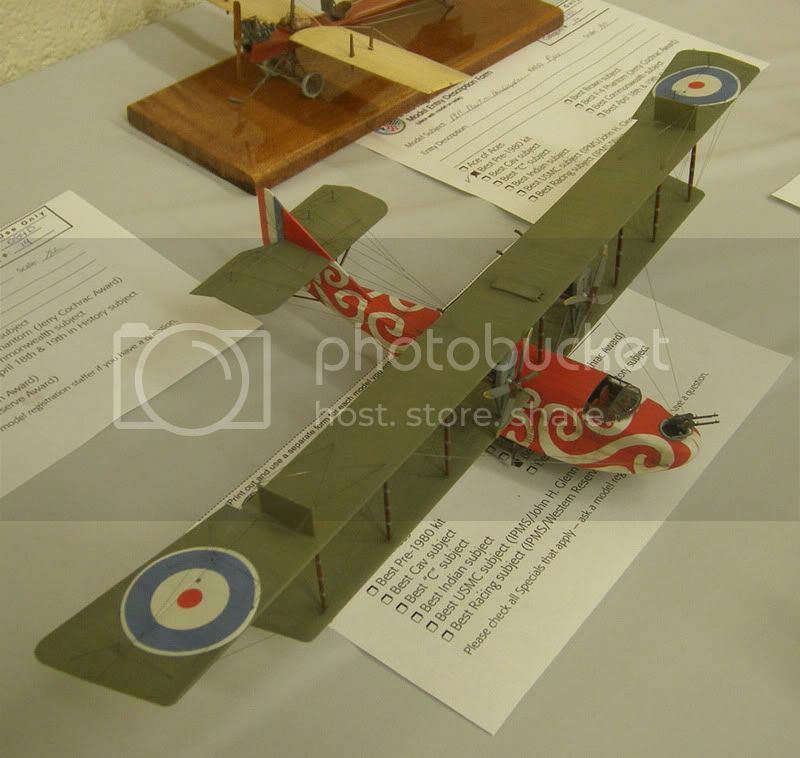 I am always on the lookout for more information about this airplane...so if anyone has any...e-mail me. This is an excellent book and is highly recommended to the Marauder fan. For more information on how to order the book visit the publisher's website at http://www.raf-in-combat.com/. Over the last few months, there has been some discussion on the modeling boards about the forthcoming Hobby Boss Hornets. Would they be ez-build kits or "normal" kits? Once sprue shots began appearing, it was obvious they were ez-build kits. 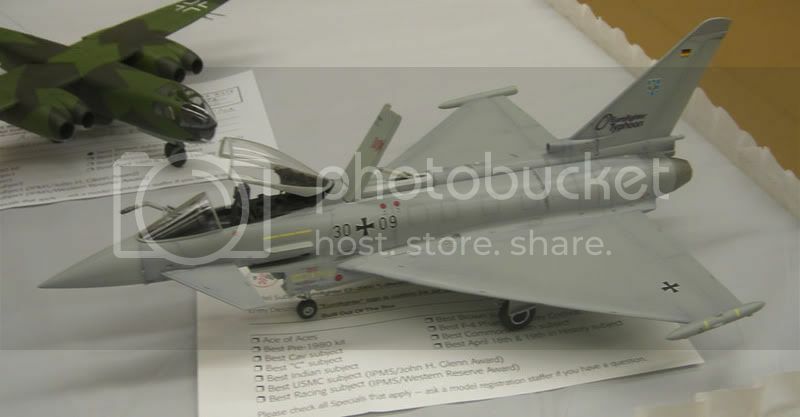 I for one was happy with that choice, as it would have been very difficult for Hobby Boss to top the new Academy F/A-18C kit and with all the CF-188 decals I have it would be nice to have an easy kit to throw together quickly to illustrate some of the schemes. So I ordered one from Lucky Model. What came in the box? As stated above, these are ez-builds, but are not packaged like the World War Two fighters in the vacuform trays. These are in real boxes. One bag had the top fuselage piece complete with wings. This is a really nice piece of injection modeling with recessed panel lines and inserts to build either a single seat or dual seat Hornet. The fuselage bottom was in a separate bag. The two sprues with drop tanks and detail parts are in a third bag, with the fourth bag containing the tail sprues. Both F/A-18A and F/A-18C tails. The final bag contains the clear canopy. The kit is clearly...influenced...by the Hasegawa kit. While the two fuselage parts are nicely molded, there is some flash on the detail spures. A quick dry fit shows things appear to fit ok. With so few parts this should be a pretty easy build. Sadly, we have some major issues. First off the cockpit floor and stick are modeled in place with the top fuselage half and the stick is just that...a stick. There is a seat to insert. The instrument panel is a flat wall and the side consoles are too high. There is no detail in the wheel well, either. These aren't deal breakers to me. However, it gets worse, no tail hook, no little LEX fences, and no blade antennas. Oops, they got them on the box art, but missed them in the plastic. The nose gear is ok, but the mains are way too simplified. 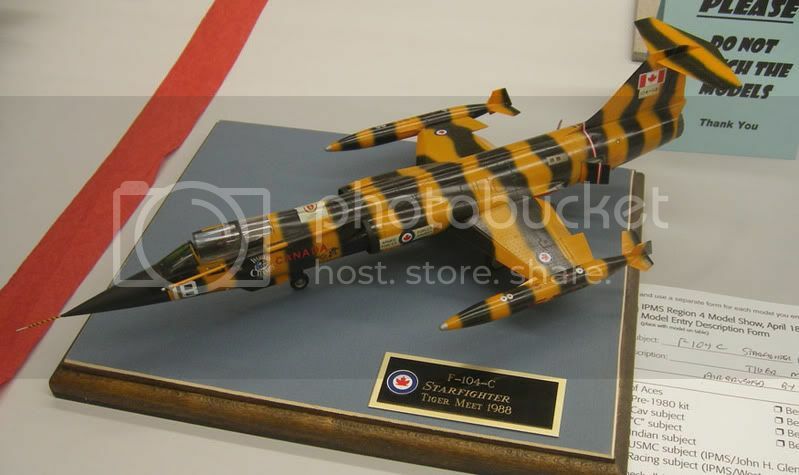 The CAF decal option is atrocious…the roundels are sick…sick…sick. I can’t speak about the accuracy of the Blue Angles option. Overall, as much as I would love to have a simple Hornet kit that is easy to build, this isn’t it. I don’t mind simple cockpits or the lack of wheel well detail in 1/72, but come on, missing an arrest hook and the LEX fences? While the kit is pretty cheap from Lucky Models ($13), you can still find the Hasegawa kit at reasonable prices…sometimes under $10, and while that kit is a pig to build, the final product out of the box will be better then this Hobby Boss effort. Sadly, one to avoid. P.S. : These kits have now made their way to the U.S. with a retail price of $24.99. Wow, that is ridiculous. Again, I will reiterate this kit probably isn't worth $13, so at $25 it is highway robbery. 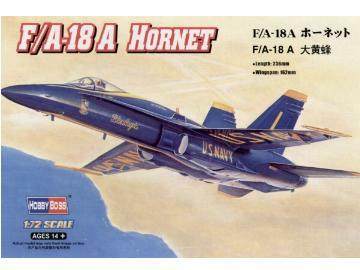 If you want a really good Hornet kit, buy the new Academy F/A-18C. If you want an ok, but cheap Hornet, find a budget boxing of the Hasegawa kit. In mid April IPMS/John Glenn and IPMS/Western Reserve combined forces to host the IPMS/USA Region IV convention at Lakeland Community College in Kirtland, Ohio. It is hard to judge the success of an event you host, but I hope everyone had fun. I was busy dealing with the money side of things and running around like a crazy person, but I still had time to take some pictures of the models. Below are a few of my favorites. On the plastic acquisition front, I was excited to pick up a Hasegawa Beaufighter Mk. I and a UMM razor saw. 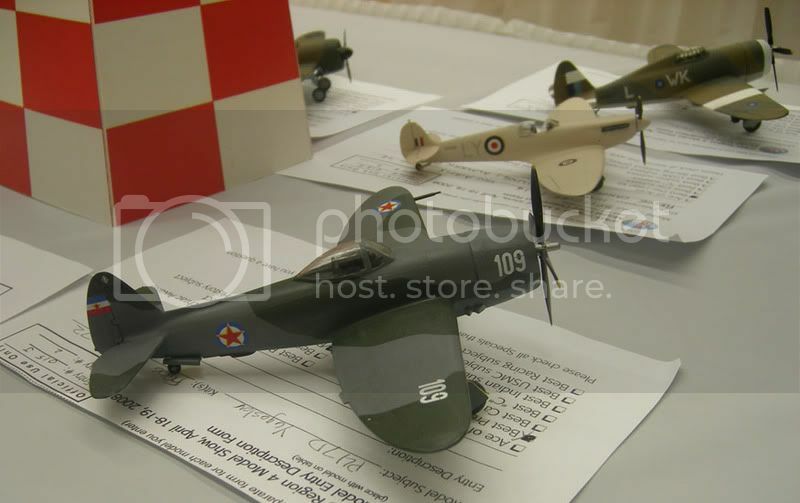 (I also bought a Revell Mirage III and a ProModeler Bf-109G. Yes it is the end of the world! I wonder if all the DSS guys will leave me along now that I own a 109? I kinda doubt it.) 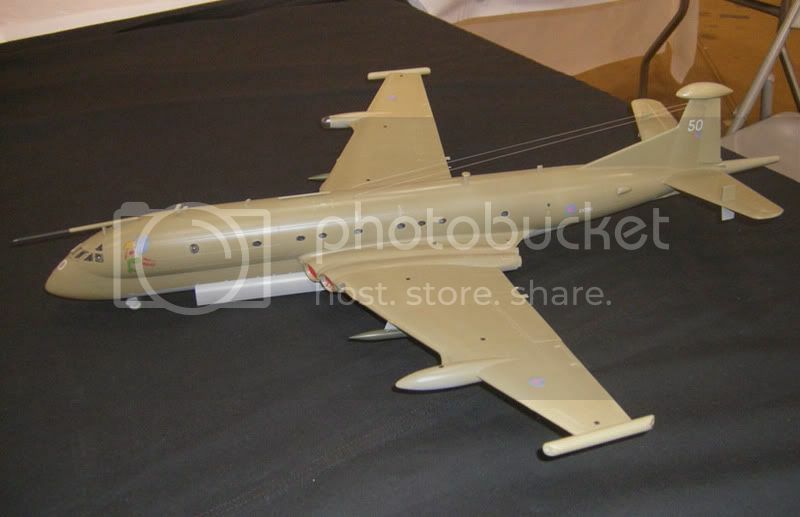 One of the highlights of the weekend was winning the new Airfix Canberra in the raffle (well actually Heather won it). It was also good to catch up with a few friends that I hadn't seen in a while. 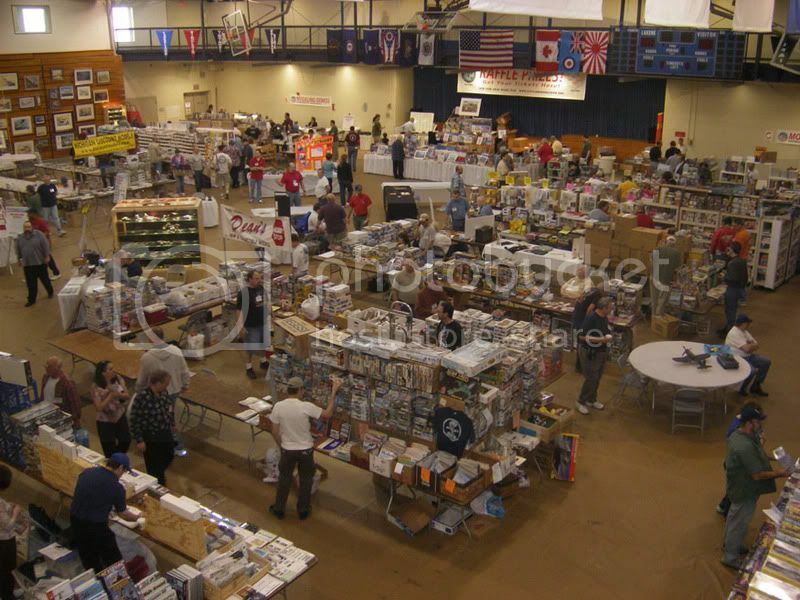 A view of the vendor hall from upstairs. Dr. David's Thunderbolts and pink Spitfire. Those DSS guys and their pink. 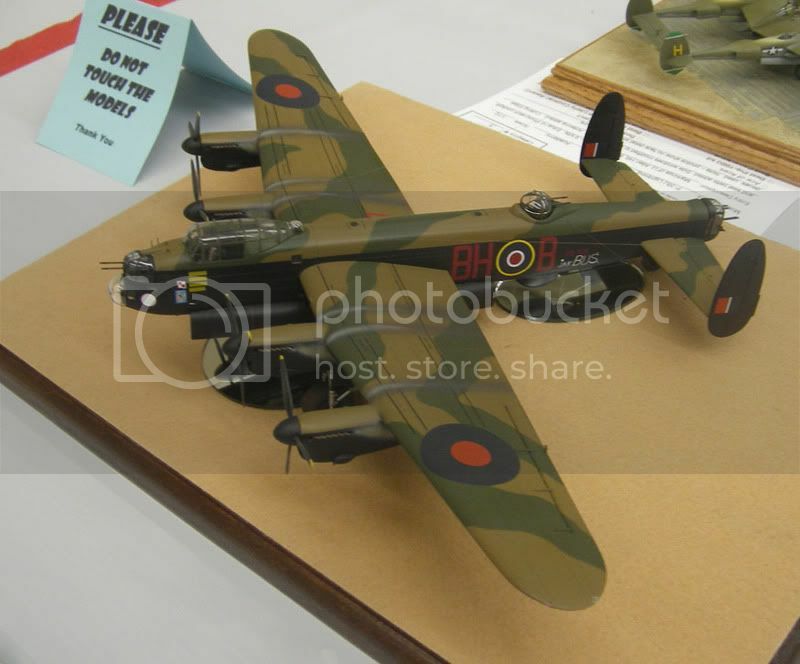 My favorite model on the table was this stunning Hasegawa Lancaster. The finish was perfect. 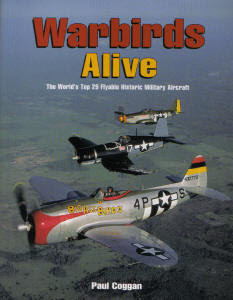 Warbirds Alive claims to list the Top 25 flyable warbirds as voted by visitors to a vintage aviation website. While it does discuss those warbirds in detail, it is also is a great primer on the vintage warbird scene. The introduction of the book is a great read on warbirds, recoveries, and the men who have dedicated their lives to saving these planes. Not only is this an interesting saga, but also it is well illustrated with many photos both in color and black and white. Some current, some vintage, but all interesting! The introduction was the highlight of the book for me, and the photos were amazing. Each chapter tells the history of the specific aircraft and is will illustrated with many photographs. 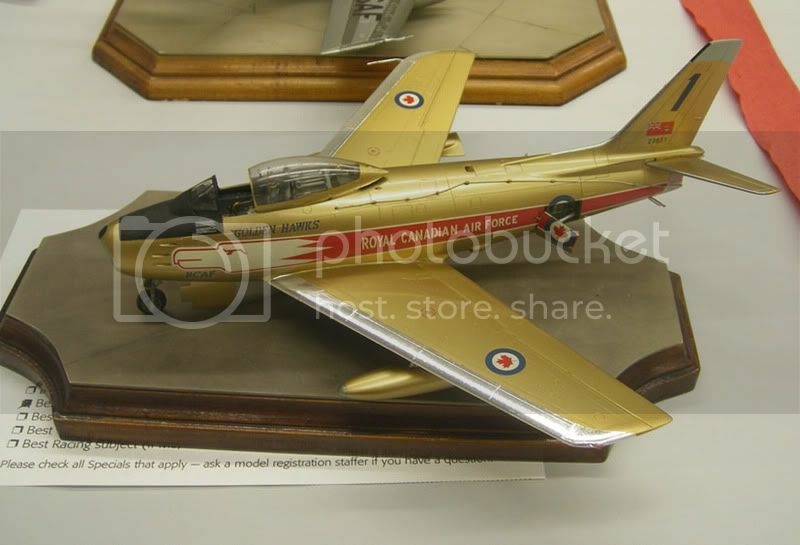 Well I tend to disagree with some of the choices in the Top 25; where is the Canadian Warplane Heritage Lancaster, it is an interesting overview of the worldwide warbird population. 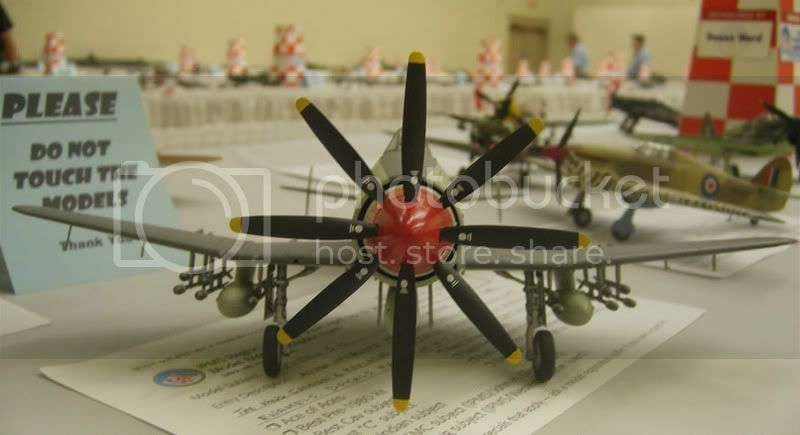 Lastly, there is a short Appendix with a listing of some warbird recoveries and then a nice photo gallery with more warbird photos, both vintage and current. I loved this book. I highly recommend it to any warbird fan. Thanks to Specialty Press and John Noack for the review copy. Besides their On Target Profiles, the Aviation Workshop also has a series of On Target Specials that are issued when the subject needs more in-depth detail that the Profiles allow. The second book in the Special series covers the camouflage and markings of British aircraft from June 1940 till December 1941. Unlike the Profile series, this book has text as well as the profiles. Mr. Lucas’s work will be familiar to those readers of Scale Aircraft Modeling, and the Guideline Publications RAF colour books. This book continues alone those lines. In Britain Alone the topics covered are day fighters, night fighters, Coastal Command aircraft, the first Grumman Martlets, Middle East schemes, Gladiators and Hurricanes of Malta, and RAF Hurricanes in North Russia. Each chapter has text describing the colours and schemes as well as the Profiles we come to expect. When necessary the history of a given scheme is covered. (Including some fascinating information on the advent of the day fighter scheme for Spitfires.) Aircraft covered include Hurricanes, Spitfires, Defiants, Beaufighters, Hudsons, as well as lesser-known types such as Turbinlite Havocs, a shark mouthed Handley Page Harrow, and the Saro Lerwick. The profiles are very well done. I really miss the historical photographs that were in the books published by Guideline and I hope that the Aviation Workshop will consider using reference photographs in future books. Profiles are nice, but I always like to compare the profiles to photographs to see if I come to the same conclusions as the artist. Secondly, I wish that a modern standard such as F.S. were used to describe the colours. Differing Sky and Egg Duck Blue colours have always confused me, and while it is helpful to know which colour a certain aircraft carried, it is still somewhat confusing not to know what the colour looks like. 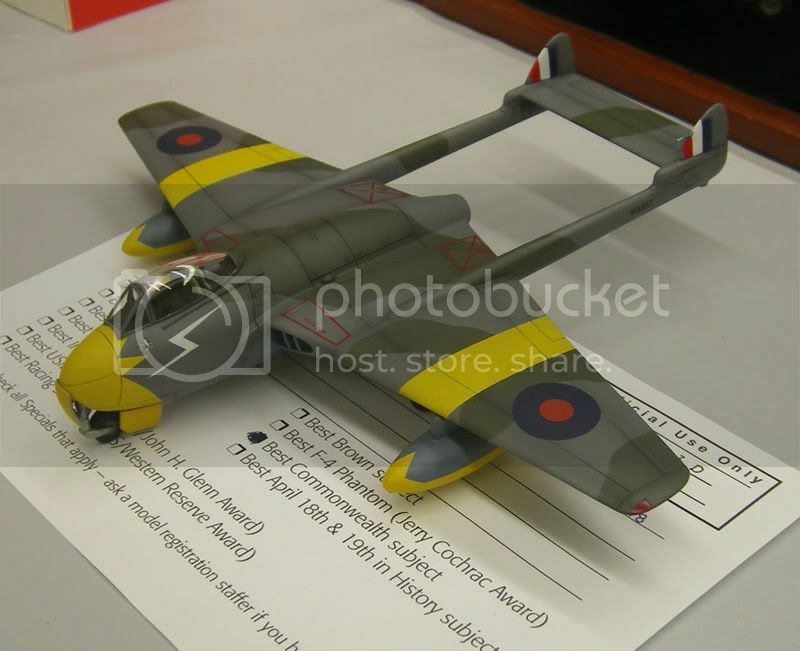 Recommended to RAF enthusiasts. 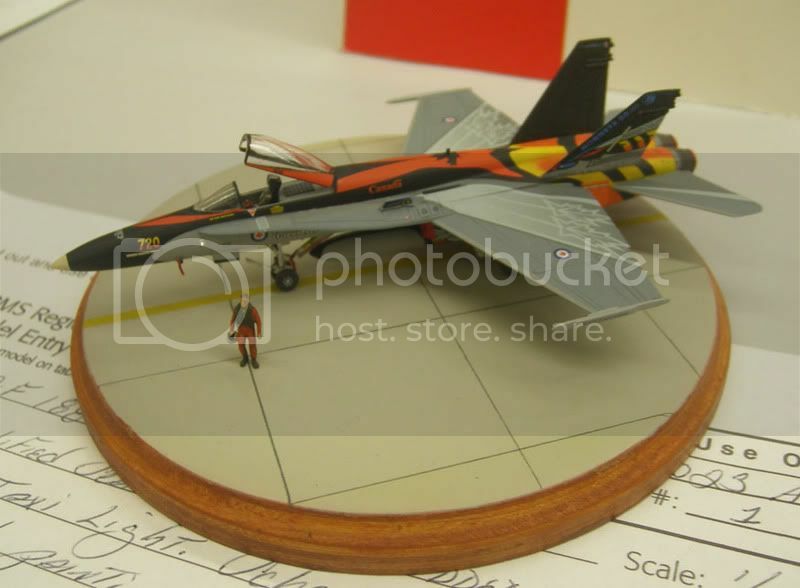 Thanks to the Aviation Workshop and John Noack for the review sample.